For those of you who were riveted by my tales of derring do in the fine lakeside town of Konstanz in December…. I have just been back for the next stage in my treatment which consisted of the fitting of three new, albeit temporary, crowns onto three of my new implants. This was a totally painless procedure in every sense and only took a couple of hours – a far cry from my first visit! They are very beautiful – indeed look exactly like I am sure the originals must have looked many years ago before they got filled, and crowned and generally beaten about. I have to admit that they have not made much difference to my ability to chew a steak as there are still no teeth above them. (On both sides of my mouth I am awaiting the completion of the sinus lift and its attendant implants.) But they do make my mouth feel slightly less empty, which has to be a good thing. And I am sure that when they get their top level partners they will perform magnificently. Meanwhile, the surgery all seems to have healed well – Dr Voltz was certainly happy with it. My right jaw (lower) still feels slightly swollen but given the abuse that it had suffered over the previous year (major ongoing infection, extraction, implant, removal of implant and then implanted all over again) that is not surprising. I am continuing to massage it morning and evening with Traumeel and it is very gradually improving. Meanwhile, the latest buzz from the BioHealth Centre is that they have had several diabetic patients recently who, subsequent to having their teeth ‘Biohealth-ed’, have reduced their use of insulin – although this may, of course, be entirely coincidental. Watch this space for further updates…. BioHealth, ceramic dental implants – and a treatment for Lyme Disease?…. 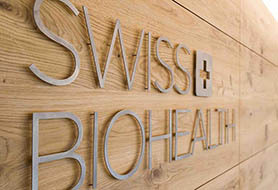 I have just spent a week at the Swiss BioHealth clinic on the shores of the Bodensee having ceramic dental implants fitted. But, it turned out, the Biohealth concepts and procedures developed at the clinic encompass much, much more than just few ‘new’ teeth. 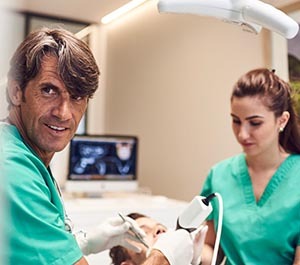 Through the medium of dental regeneration they are addressing intractable and debilitating conditions which range from ‘arthitic’ joints to Lyme disease. So what’s the big deal about the teeth?…..
Maybe understandably teeth are often seen something rather extraneous to the body: white and hard, with their own group of doctors to look after them. But this is far from the case. From the root of every tooth runs a nerve and a tiny blood vessel both of which connect directly into the main nerve system and blood flow of the body. So far from your teeth being disconnected from your body they are in 24/7 communion with your whole system. Which means that anything that is amiss with a tooth can affect any other part of your body from your stomach to your big toe. It matters because teeth that are in poor condition are ideal refuges for bacteria, pathogens and parasites that can ‘settle in comfortably’ and use each tooth’s direct blood vessel connection to spread themselves around your body whenever they choose. In healthy teeth the bone binds tightly to the roots of the tooth and the gum to the ‘body’ of the tooth. There are no gaps. But all too often (usually as result of poor diet and/or poor dental care) the gums pull way from the teeth allowing space for food and bacteria to lodge there. They may in due course reach down to the root spreading bacteria around the root. This can cause bone to dissolve creating spaces in which other bacteria (toxins, parasites or viruses), travelling up through the blood supply to the tooth, will lodge. From there they can easily work their way back through your system via the tooth’s blood vessel. Healthy immune systems will often parcel these bacteria up into little cysts at least preventing them spreading back through the body, but the cysts themselves take up space which should be filled with bone. So gradually you lose bone around the root of the tooth, the tooth gets loose as it is no longer being held in place by the bone. Maybe the nerve connection is damaged or becomes infected and the tooth dies. In conventional dentistry you will then be offered a root canal filling. This involves cleaning out the hollow centre of the dead tooth and packing it, usually with a rubber like material called gutta percha that comes from the sap of Malaysian trees. This is sealed in place with an adhesive cement. The procedure involves introducing extra foreign materials (the gutta percha and cement) into the mouth. You are leaving a dead tooth in the mouth. Maybe the damage is so great that the tooth is no longer viable even with a root canal filling. In which case, in today’s dentistry, you may well be offered an implant. This is, effectively a new tooth which is screwed permanently into the bone from which the old tooth has been removed. This is a vast improvement on the dentures which were all that were previously on offer, as a successful implant is effectively just a new tooth replacing the old one. There is only one problem, although this is a problem currently only recognised by a small band of specialists headed up by the Swiss Bio Health clinic. The implants are made from titanium. Titanium is already widely used in medicine and had been thought to be both inert and non-allergenic. But while even this is now being questioned (see here for more) the main issue is that titanium is a metal – and, say the bio-health dentists, metal has no place in our bodies. But bio-health dentistry has very much wider implications for human health than just replacing implants. So let us take a few steps backwards. The immune system and its enemies…. The human immune system is the body’s main defence against attack by toxins, ‘bad’ bacteria, viruses, parasites. A healthy, vigorous immune system will scavenge 24 hours a day and will be able to deal with all but the most virulent attacks. But a healthy immune system needs to be kept healthy by being fed good ‘food’ in terms of mineral, vitamin etc nutrients and being allowed to lead a moderately ‘healthy’ life – no excessive exposure to environmental toxins (such as heavy metals) or self imposed pollution (alcohol, drugs, or cigarettes – toxins in themselves) plus plenty of rest, sleep, exercise, relaxation etc. There are very few people now who do not accept that mercury/amalgam filings are seriously detrimental to health, giving off low levels of mercury vapour during chewing. But amalgam is not the only metal used in the mouth. This research suggests that metal deposits in the body can affect the functioning of the immune system by depressing it, so that it does not work as efficiently as it should – or by over stimulating it so that it attempts to destroy either harmless ingested proteins (such as peanut) or the body’s own systems as in autoimmune conditions such as coeliac disease, diabetes, RA, MS etc. If you accept this research then, as long as metal remains in the mouth, it will be impossible to achieve a truly healthy immune system. But, even if we have a healthy immune system…. Even a healthy immune system can only scavenge toxins if it can find them. So it is in the toxins’ interests to search out places in the body where they will not be found. And the spaces created by decaying bone around damaged or infected teeth are ideal hiding places. An even better a hiding place is provided by the layer of fat that settles where wisdom teeth have been removed in most people. Wisdom teeth are the last teeth to ‘come through’ – usually between the ages of 17 and 25 although sometimes much later. While some people’s mouths are big enough to fit them, many people’s are not. If this is the case the wisdom teeth will sometimes just stop growing and decay, or grow crooked or force other teeth out of position causing pain and further damage. In this case it is better to remove the wisdom teeth to allow the other teeth space. Ideally, when they are removed new healthy bone will grow in to fill the space where the tooth has been extracted and strong gum will seal off the site. But….. The age at which most wisdom teeth are removed (late teens and early 20s) is the time when nutrient levels (needed for the growth of healthy bone) are at their lowest – partly because they have been depleted by the very business of growing and partly because late teenage/early 20s diets tend to be nutrient poor. As a result the bone which should grow to fill the space left by the extracted wisdom tooth does not grow as it should and a layer of fat moves in instead. So, back to the toxins… And think here also of bacteria such as the borrelia burgdorferi bacteria in Lyme disease which is affecting so many people so disastrously especially in the U.S. There is nothing that a virus, bacteria, parasite or toxin likes better than a layer of fat hide in – even better than a gap around a tooth. So those wisdom teeth sites provide perfect concealment where they can remain safe from the scavenging cytokines of the immune system and free to send their own messengers into the blood stream and out around your body whenever they want. In bio health the immune system is king. If it is in seriously good shape then it will be able to deal with all but the most catastrophic external toxic attacks – a Bhopal disaster for example. The issue is how to get it into a state of bounding good health – and then how to keep it there. Feeding it good nutrients is of course vital. But that may not be enough if that body is also ‘housing’ a number of pathogens, viruses or toxins. Tucked away in safe corners such as ex wisdom teeth sites or decayed teeth these toxins will be constantly impeding its work. Therefore, to allow the immune system to regain maximum health and productivity, those sites need to be cleaned out and encouraged to infill with healthy bone which will not allow spaces to reform to accommodate those pathogens. 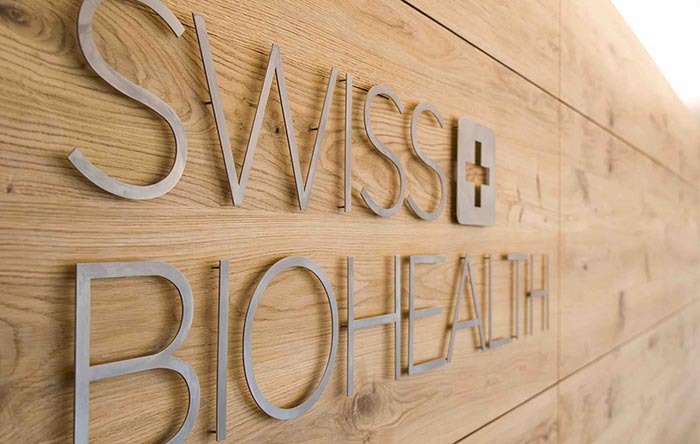 For more details of the protocols used at the Swiss Bio Health Clinic see the FoodsMatter site here – or for full details see their site. But for now – the principle. You effectively force feed the immune system healthy nutrition for a period of weeks or months to get it to its maximum efficiency – then…..
You meticulously clean out the areas where pathogens may lurk ensuring that that absolutely nothing is left behind. You then pack these areas with bone from the patients own body and/or membranes made from their blood and sew them up tightly. Or, in the case where the tooth has died, you remove it, perform the same meticulous cleaning and then fill the space with zirconium oxide ceramic implants made from zirconium dioxide. The bone will then actually grow around and incorporate the implant. This does not happen with titanium implants which set up a state of constant low level inflammation so no bonding occurs. While you are doing this you support the immune system and the body’s natural healing processes in every way that you can – high dose vitamin and mineral infusions, homeopathic remedies, cranial and lymphatic massage, magnetic resonance therapy, and total rest for at least five days after the treatment. So, you have removed the pathogens and filled the sites where they had hidden with potentially healthy bone and gum. All that is needed now is to ensure that the patient’s levels of the nutrients needed to grow that bone (especially Vitamin D3) remains high enough to allow complete reintegration and healing to take place. Meanwhile, the body systems are now not only being protected by a strong immune system but they are no longer under constant attack by the pathogens which lurked in the gaps and crevices of an unhealthy mouth. They are therefore free to deal with any other health issues that might have arisen very much more efficiently – and that does appear to be what they then do. However many of the clinic’s patients come with other serious health issues – including Lyme disease which all too often, especially in the U.S., remains resistant to all attempts to eliminate it. Dr Voltz (seen here at work), founder and director of the clinic for the last 30 years, told me that although Lyme disease is the most dramatic condition that the bio health protocol appears to address, virtually all of their patients report improvements in other often very long standing health conditions within weeks of undergoing treatment. For more details of the actual treatment – see the FoodsMatter site here – or go to their site. As for me? I got the works!!! Final tally was, I think, five extractions, seven implants, four cavitations (or wisdom teeth clean outs), a sinus lift, replacement of three metal crowns and (although I had sort of lost track by then) a few fillings! I was obviously in sore need….. And that is far from the end! I am back in February, again in May, and then again in September, I think, to complete the work! Just as well that Konstanz is a nice town!